We know you will be completely satisfied with our deck staining! When it comes to staining your deck in Cary, North Carolina, you may not know who to call for help or if you should try getting the job done yourself. Deck staining is quite the process, and without the right materials or experience, your deck may not turn out the way you want it. At Prep-Rite Painting, our skilled painters have great experience and training that will ensure you get the beautiful deck you want without all the hassle. In order for your stain to properly adhere and last for a long time, preparation is key. The amount of washing, sanding, or stripping that needs to be done depends on the current state of your deck and the stain you want. No matter what needs to be done to prepare your deck, our team at Prep-Rite Painting will make sure it gets done. We want you to be completely satisfied with your deck staining, so we will make sure every detail is exactly what you want. We also make sure to use high-quality materials and paints to ensure your deck looks as beautiful as possible and will withstand wear and tear. We are thorough from start to finish and treat your home and deck like our own, so you can trust that we will take great care of your deck and outdoor area. If you want to complete deck staining without the hassle and labor on your part, give us a call at Prep-Rite Painting. Our professional, qualified team will make sure the job is done exactly how you want, in a timely manner, and at a competitive price. Contact us today! 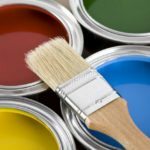 At Prep-Rite Painting, we offer deck staining services in Apex, Cary, Holly Springs, Fuquay Varina, Chapel Hill, and Raleigh North Carolina.